Concordia Supply custom outdoor VBS banners are printed on 13 oz, scrim vinyl. They are hemmed around the edges to increase the strength and durability, they are also finished with grommets approx every 3 feet along the long edges to make for easy hanging. Currently we offer 3x8, 4x10, and 5x12 sizes. However, we can make larger sizes as well. Please contact us for pricing or place your order with a special note. Customize for Free: Yes, our designers can customize any our our designs. We can add your VBS or church logo along with the dates, time, and promtional message. VBS Banner Design Tip: Consider getting a bigger size if this is going to be placed along the road. Limit the text to only the most important information. 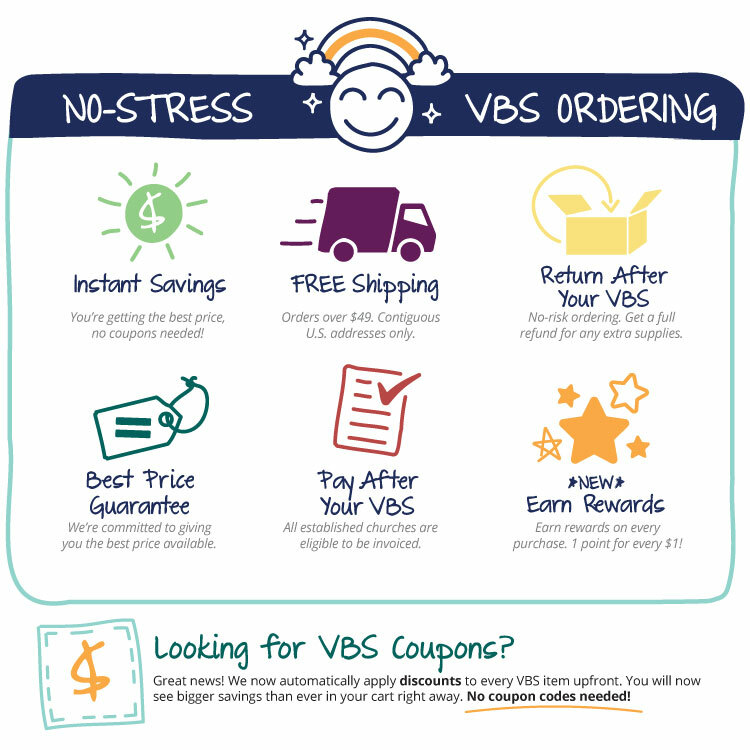 For VBS, put the dates, time, and what they are supposed to do next (call, website, register, etc). Make sure the community knows they are welcome! Material: Vinyl Scrim, 13oz heavy duty for outdoor use. Finish: Grommets around the edge. Allow 2-3 business days for us to print and ship after your approval.